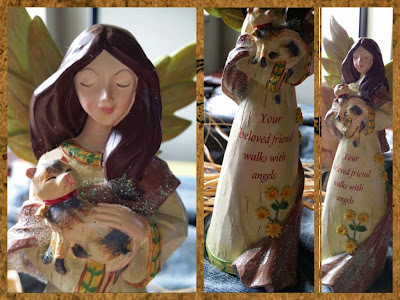 I went to pick up meds for Jake the other day at the kidz clinic and Mary; a Vet Tech gave me this angel figurine. It was Mary who molded Maus's paws in clay and clipped some of her lovely curly hair for me the day I brought her body into the clinic. As some of you know, I am not a nicknack-kinda person, but this was an unexpected, sweet gesture. Mary was very fond of Maus, as was the case with most people who met her. I've been in the clinic a couple of times since Maus passed and the staff has always shown me great compassion, always asking how the boyz and I are holding up. 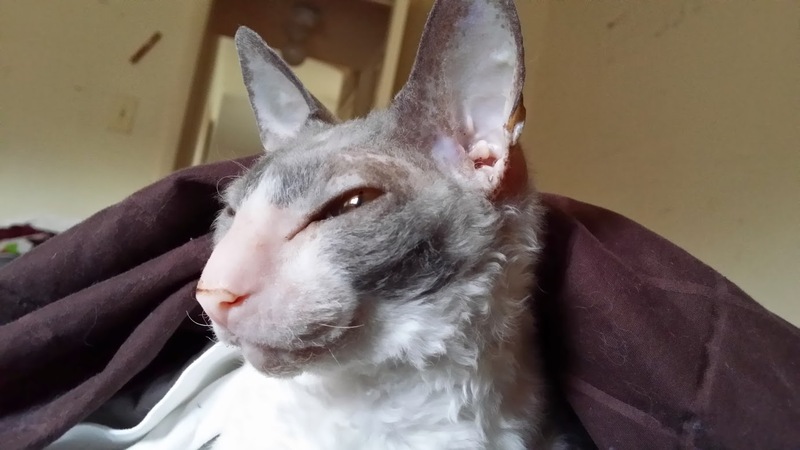 I'm still dealing with the existential aspect of Maus's life and death, but if angels are real, if any creature could transcend death to walk with them, it would be Maus. We agree. And we send you many comforting purrs because we can only imagine how fresh and painful her loss still must be for you.